Why is shame so central to our identity and to our culture? What is its role in stigmatizing subcultures such as the Irish, the queer or the underclass? Can shame be understood as a productive force? In this lucid and passionately argued book, Sally R. Munt explores the vicissitudes of shame across a range of texts, cultural milieux, historical locations and geographical spaces - from eighteenth-century Irish politics to Philip Pullman's His Dark Materials trilogy, from contemporary US academia to the aesthetics of Tracey Emin. She finds that the dynamics of shame are consistent across cultures and historical periods, and that patterns of shame are disturbingly long-lived. But she also reveals shame as an affective emotion, engendering attachments between bodies and between subjects - queer attachments. Above all, she celebrates the extraordinary human ability to turn shame into joy: the party after the fall. 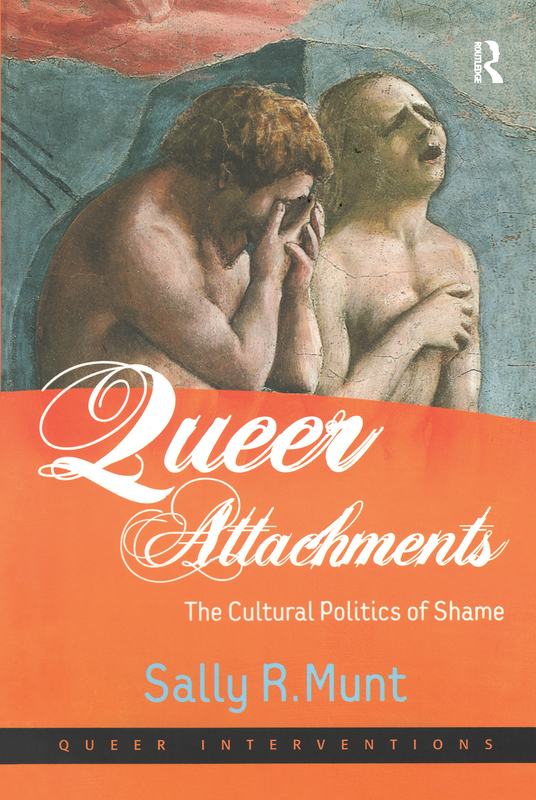 Queer Attachments is an interdisciplinary synthesis of cultural politics, emotions theory and narrative that challenges us to think about the queerly creative proclivities of shame. Contents: Series editors' preface: After shame; Foreword, Donald L. Nathanson; The cultural politics of shame: an introduction; Queer Irish sodomites: the shameful histories of Edmund Burke, William Smith, Theodosius Reed, the Earl of Castlehaven and diverse servants - among others; Shove the queer: Irish/American shame in New York's annual St Patrick's Day parades; Expulsion: the queer turn of shame; Queering the pitch: contagious acts of shame in organisations; Shameless in Queer Street; A queer undertaking: uncanny attachments in the HBO television drama series Six Feet Under; After the fall: queer heterotopias in Philip Pullman's His Dark Materials trilogy; A queer feeling when I look at you: Tracey Emin's aesthetics of the self; Bibliography; Index. Sally R. Munt is Professor of Media and Cultural Studies at the University of Sussex , UK. She has published extensively in cultural studies and is the author or editor of seven previous books including Heroic Desire: Lesbian Identity and Cultural Space (1998) and (as editor) Cultural Studies and the Working Class: Subject to Change (2000). She has given numerous keynote speeches and invited lectures in Europe and the US. Founded by Noreen Giffney and Michael O'Rourke, Queer Interventions is an exciting, fresh and unique new series designed to publish innovative, experimental and theoretically-engaged work in the burgeoning field of queer studies. The aim of the series is to attract work which is highly theoretical; queer work which intersects with other theoretical schools (feminism, postcolonial theory, psychoanalysis, Marxism); work which is accessible but values difficulty; ethical and political projects; and most importantly work which is self-reflexive about methodological and geographical location. It is also keen to commission empirical work which is meta-theoretical in focus. The series is interdisciplinary in focus and publishes monographs and collections of essays by new and established scholars. It promotes and maintains high scholarly standards of research and is attentive to queer theory's shortcomings, silences, hegemonies and exclusions. It also encourages independence, creativity and experimentation: to make a queer theory that matters and recreate it as something important; a space where new and exciting things can happen.